Researchers are the first to create sensory interneurons from stem cells. Human embryonic stem cell-derived neurons (green) showing nuclei in blue. Left: with retinoic acid added. Right: with retinoic acid and BMP4 added, creating proprioceptive sensory interneurons (pink). UCLA Broad Stem Cell Research Center/Stem Cell Reports. Researchers at the Eli and Edythe Broad Center of Regenerative Medicine and Stem Cell Research at UCLA have, for the first time, coaxed human stem cells to become sensory interneurons — the cells that give us our sense of touch. The new protocol could be a step toward stem cell–based therapies to restore sensation in paralyzed people who have lost feeling in parts of their body. The study, which was led by Samantha Butler, a UCLA associate professor of neurobiology and member of the Broad Stem Cell Research Center, was published today in the journal Stem Cell Reports. Sensory interneurons, a class of neurons in the spinal cord, are responsible for relaying information from throughout the body to the central nervous system, which enables the sense of touch. The lack of a sense of touch greatly affects people who are paralyzed. For example, they often cannot feel the touch of another person, and the inability to feel pain leaves them susceptible to burns from inadvertent contact with a hot surface. In a separate study, published in September by the journal eLife, Butler and her colleagues discovered how signals from a family of proteins called bone morphogenetic proteins, or BMPs, influence the development of sensory interneurons in chicken embryos. The Stem Cell Reports research applies those findings to human stem cells in the lab. When the researchers added a specific bone morphogenetic protein called BMP4, as well as another signaling molecule called retinoic acid, to human embryonic stem cells, they got a mixture of two types of sensory interneurons. DI1 sensory interneurons give people proprioception — a sense of where their body is in space — and dI3 sensory interneurons enable them to feel a sense of pressure. 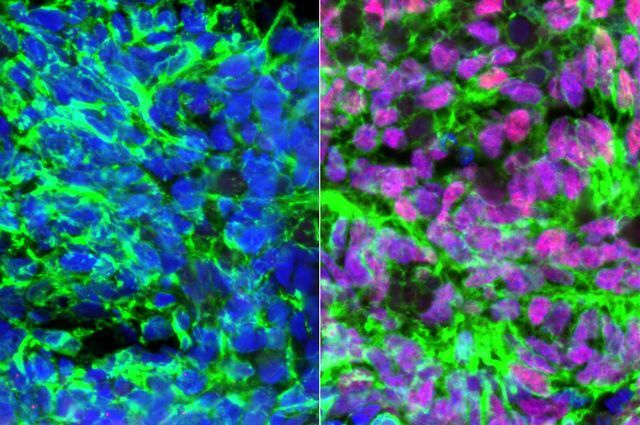 The researchers found the identical mixture of sensory interneurons developed when they added the same signaling molecules to induced pluripotent stem cells, which are produced by reprogramming a patient’s own mature cells such as skin cells. This reprogramming method creates stem cells that can create any cell type while also maintaining the genetic code of the person they originated from. The ability to create sensory interneurons with a patient’s own reprogrammed cells holds significant potential for the creation of a cell-based treatment that restores the sense of touch without immune suppression. Butler hopes to be able to create one type of interneuron at a time, which would make it easier to define the separate roles of each cell type and allow scientists to start the process of using these cells in clinical applications for people who are paralyzed. However, her research group has not yet identified how to make stem cells yield entirely dI1 or entirely dI3 cells — perhaps because another signaling pathway is involved, she said. The researchers also have yet to determine the specific recipe of growth factors that would coax stem cells to create other types of sensory interneurons. The group is currently implanting the new dI1 and dI3 sensory interneurons into the spinal cords of mice to understand whether the cells integrate into the nervous system and become fully functional. This is a critical step toward defining the clinical potential of the cells. 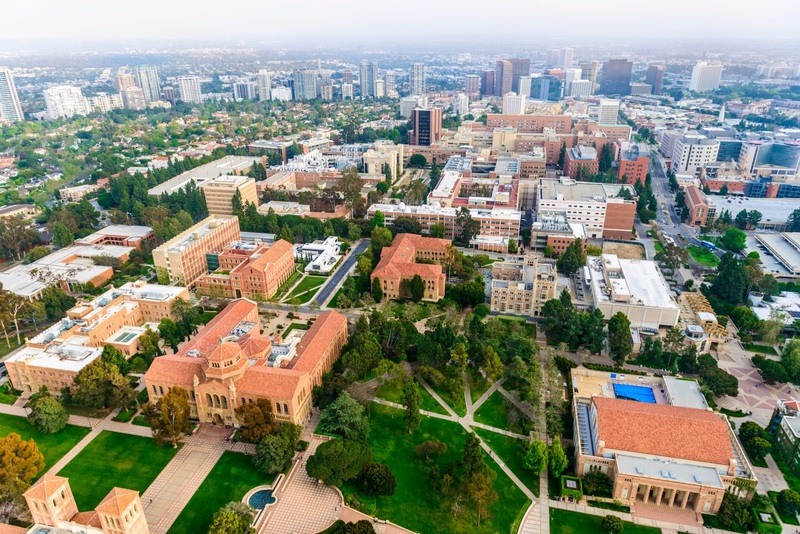 The research was supported by grants from the California Institute for Regenerative Medicine and its Cal State Northridge–UCLA Bridges to Stem Cell Research program, the National Institutes of Health and the UCLA Broad Stem Cell Research Center.